I’m a huge soup fan during the colder months. Let’s face it, I’m a huge soup fan no matter the time of the year but, especially during those months. 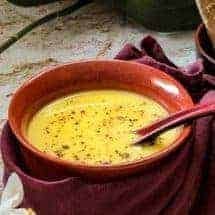 This Indian Dal Soup was a hit in the Instant Pot Blender and I couldn’t wait to share the recipe with you. I don’t know about you but, I’m in love with the Instant Pot Blender simply because it makes some of my favorite soups so much easier and quicker to throw together. Watch my review video if you’re curious about it. Indian Dal Soup isn’t one of those thick, chunky types of soup. For example, many of us love chicken noodle soup because it has plenty of broth but also has nice thick chunks of chicken with soft noodles to go along with it. However, this soup recipe is just one of those sipping soups that would go great with crackers or bread, if desired. Indian Dal Soup is rich in flavor and is the perfect comfort soup. 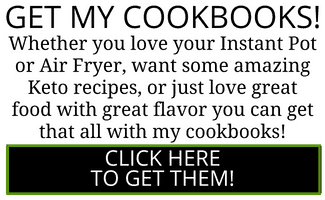 It’s pretty easy to make especially with the Instant Pot Blender at your side. However, this soup may call for and ingredient or two that you’re unfamiliar with. 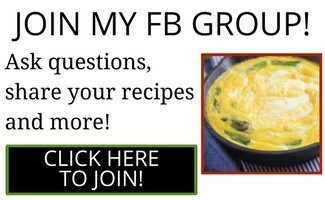 Before you start to skip those ingredients or give up on the recipe altogether, let me explain to help a bit. 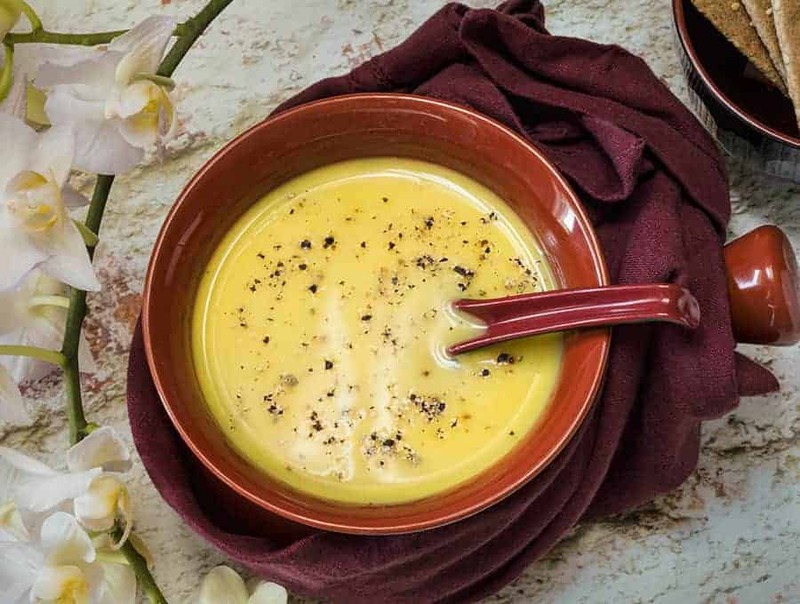 This Indian Dal Soup recipe calls for split yellow moong dal. Of course, you can use split red lentils in its place, however, if you want to, go ahead and use the split yellow moong dal. 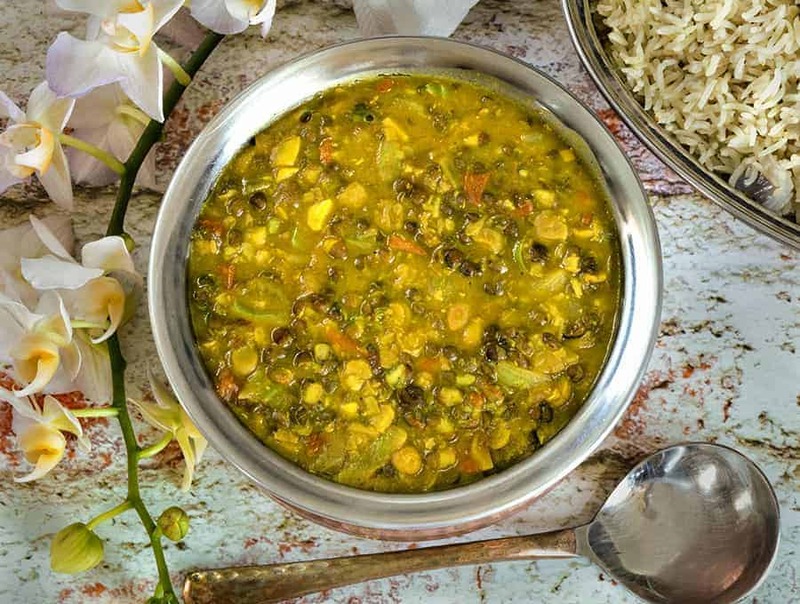 Split yellow moong dal is made from a mung bean which is a lentil-like legume. It’s not super hard to find in stores and it has a delicious flavor that’s similar to that of lentils. If you enjoyed this recipe you’re sure to love my Instant Pot Moong Dal Soup. It’s a delicious traditional Indian soup that’s super easy to make in your Instant Pot. Another fantastic dal dish is my Instant Pot Langar Ki Dal. It’s a deliciously healthy vegetarian dish that’s really easy to make in your Instant Pot! 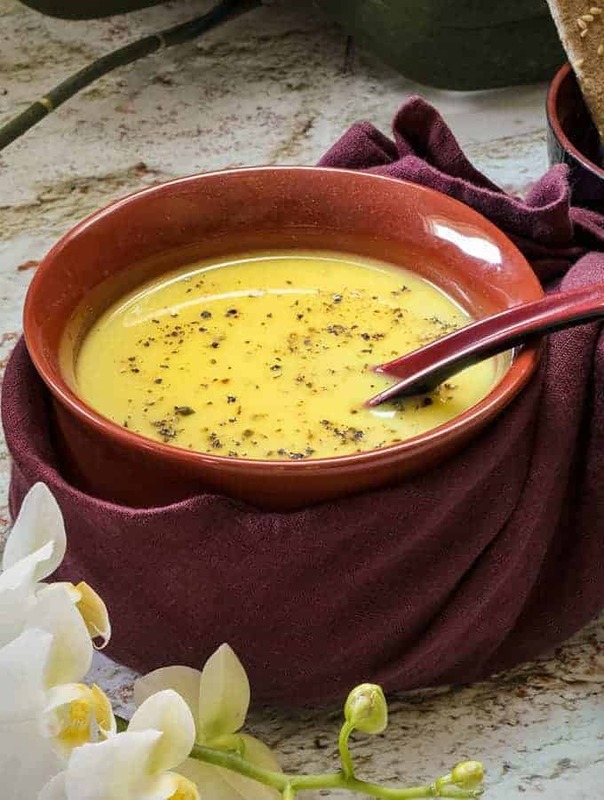 Odds are, unless you are familiar with Indian cooking, you may not have tried Indian Dal Soup before. This is a great soup recipe that will provide many of the traditional flavors of India in an easy-to-make soup recipe just waiting for you to try it. Did I mention this recipe is also vegan and vegetarian-friendly? 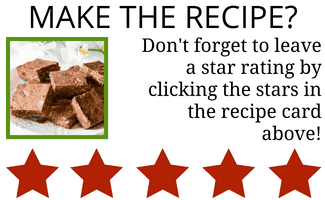 It’s a great recipe option, all the way around, no matter your eating preferences. 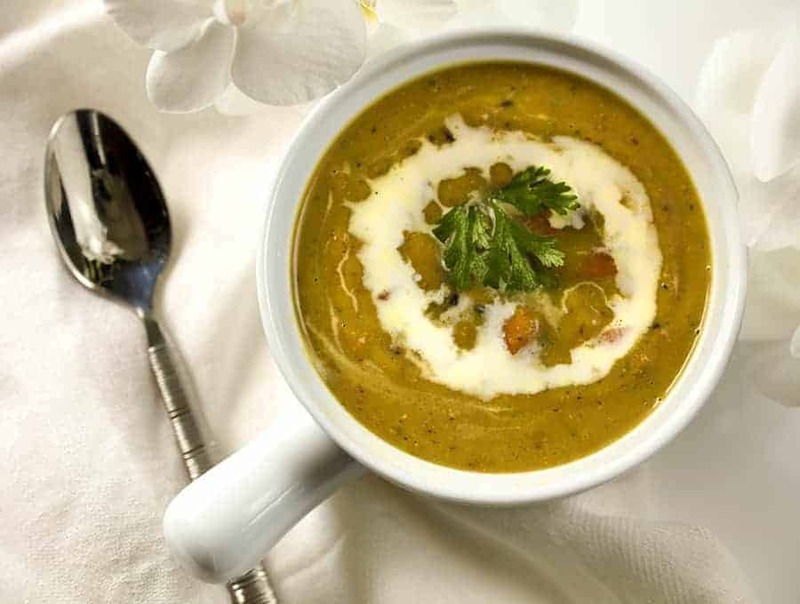 Make a deliciously warming Indian Dal Soup with minimal effort in an Instant Pot Blender! Not to mention it's gluten free and vegan friendly! Place all ingredients in the Instant Pot Blender. When the soup is finished cooking, garnish with cilantro or serve as is.